The research performance of Thai researchers in various subject categories was evaluated using a new mathematical index entitled “Impact Factor Point Average” (IFPA), by considering the number of published papers in journals listed in the Science Citation Index (SCI) database held by the Institute for Scientific Information (ISI) for the years 1998-2002, and the results compared with the direct publication number (PN) and publication credit (PC) methods. The results suggested that the PN and PC indicators cannot be used for comparison between fields or countries because of the strong field-dependence. 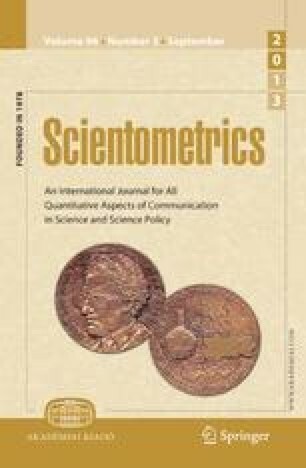 The IFPA index, based on a normalization of differences in impact factors, rankings, and number of journal titles in different subject categories, was found to be simple and could be used with equality for accurate assessment of the quality of research work in different subject categories. The results of research performance were found to be dependent on the method used for the evaluations. All evaluation methods indicated that Clinical Medicine was ranked first in terms of the research performance of Thai scholars listed in the SCI database, but exhibited the lowest improvement of performance. Chemistry was shown to be the most improved subject category.